Early in his career, Sheriff Carpinelli served as Police Officer for the Town of Lloyd Police Department, the Town of New Paltz Police Department, and the Town of Ulster Police Department. From 1992 to 2006, he served at Police Officer for the Rochester City Police Department. In 2006, Sheriff Carpinelli retired and moved to Lewis County. Shortly after relocating, he was hired to the Lewis County Sheriff's Office by Sheriff L. Michael Tabolt to serve as a part-time Deputy Road Patrol and Parks & Recreation Deputy. 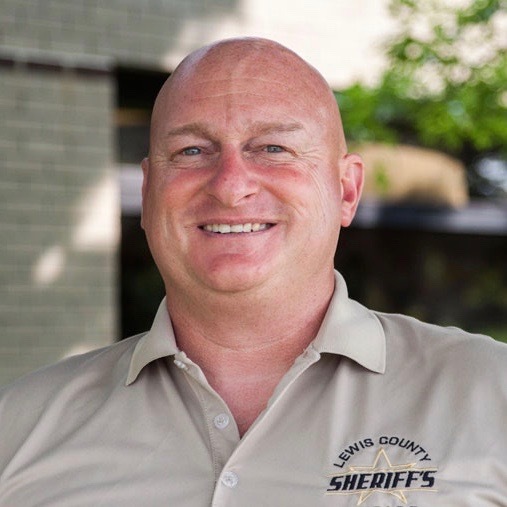 Sheriff Carpinelli majored in Criminal Justice at Ulster County Community College. He attended the Kingston Police Academy MPTC school in 1985. He has completed extensive specialized training, including Instructor Certification through the FBI, and the FBI Pursuit and Evasive Driving School. He is a Certified FBI Defensive Tactics Instructor; Certified in Accident Reconstruction by NYS Police; and certified and continues to execute Tactical Warrant Entries. He also attended and completed the National Sheriffs’ Academy. Sheriff Carpinelli moved to Lewis County permanently in 2006 with his wife Vickie to raise their daughter, Nicolette.